An online dating service is a tiny part of an ever growing and already huge industry that offers enough business space for numerous companies. Despite its innate density, the market is very flexible and often seems to an outsider as a relatively small competitive field with only several huge players tossing the ball around while others shyly spend their time on the bench. This is not the case. All participants have something to do and have their own small fan communities. The biggest thing about it is that there are multiple fans of the industry that simply don’t know which service suits their needs the best. This is where content marketing comes in. It helps describe the advantages of your online dating service, the values you share so that people can see if your service is right for them. Content marketing for dating sites is a complex topic that requires both scientific approach and precaution when it comes to delicate matters. We are talking personal life here, and how people like to date, evaluate, and choose their romantic interests. Dating sites use content marketing constantly to expand their audiences. Why would anyone use this time- and labour-consuming method? Reason #1. It actually works! Content marketing became a thing not very long ago. The very concept was a driving factor in advertising for centuries. Even in medieval times, people wrote whole pamphlets about their products to encourage their neighbours to buy their goods. They emphasised the advantages and even belittled their competitors to make their goods look better and attract more people. Modern content marketing is essentially the same marketing trick but from another angle. Many experts in the industry refer to the recent research by Demand Gen who analysed the business behaviour of their clients in 2016. Their report claims that roughly 51% of B2B buyers rely heavily on studying content before making a decision to make a purchase. The overwhelming majority (95%) is convinced that content marketing is a trustworthy source of information and allows you to evaluate a vendor. The importance of content marketing in B2C sales was never as impactful as in B2B. However, the arrival of the internet changed it forever. Earlier, delivering information to the client was tricky and salesmen relied on their charisma instead of the actual benefits of the product. Today, you can use various social media platforms, corporate blogs, news feeds, and other media to successfully relay information about your product and its advantages. As mentioned previously, the sheer size of the industry may appear overwhelming to an insider who actually knows how vast the potential audience of the industry is. More and more women and men rely on online dating services to find their significant others. This means that the growth of the industry is directly related to the availability of the internet and some social factors. The growth will not stop – this is the main takeaway. The size of the audience leads to more diversity in the market allowing various companies to focus on specific parts of the audience. Knowing your advantages and using content marketing to highlight them – this is your main priority. Understanding what forms the core of your business is what binds you to the audience that needs to hear why they should choose your service. The main goal of any content marketing is to create means of engagement for the visitors. Your visitors need something they can relate to in order to be attracted to your service. Focus on specific things to make your content truly engaging and interesting thus contributing to your conversion rates. Using emotion-driven storytelling and involving your clients into the process is one of the most sympathetic ways to attract newcomers. eHarmony with its creative approach to weaving stories is a perfect example of how good narratives can become staples of your overall content marketing strategy. 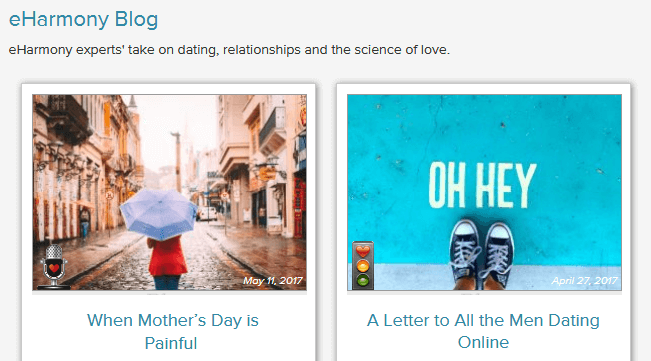 Articles with simple advice from more experienced community members and psychologists, stories from successful couples, and interesting tips and tricks make content relatable and useful allowing all visitors to co-experience online dating and its merits. While engaging your audience is a great move, there are other ways to give some gravity to your business. Beautifully written emotional narratives definitely have some value but rational people tend to believe in numbers. Use mathematics to attract people who need actual empirical evidence that your service is worth of their time and money investments. Statistics and probabilities, as well as articles about the industry and online dating in general with lots of factual data, will make your site more visible and trustworthy. Match showcases how this can be done with their regular articles featuring statistics and corporate news. They use numbers and convincing stats to elevate their service to the next level in the eyes of their potential customers. When the service is growing at a steady pace and has stats like “success rate” and “views per page”, it is that much easier to convince yourself that you need an account on such a great dating site! Make them interested in purchasing. The vast majority of good content starts with a problem that needs a solution. Then, the solution is being presented to the audience. Then, a subtle offer is made. Then, you continue to offer goods and services to your audience. Content marketing for dating sites is no different. You need to discuss problems and show how your service solves them. Building your content around this premise brings in visible results in the long run. Modern businesses heavily rely on social media and dedicate healthy cuts of their marketing budgets on social media outlets and commercial advertising. It is nearly impossible to build an effective business without an extensive usage of Facebook, YouTube, or Instagram. Content marketing allows you to fully employ these social platforms while preserving your budget. It is not “cheap” but it surely is less impactful than the massive money-consuming social media campaigns. Your videos, podcasts, and articles can go viral and attract good amounts of traffic. A well-written blog post will surely catch some glances and pull readers from social outlets. This means that you can use not only traditional advertising in, for example, Facebook but its very nature as well. Content marketing is an integral part of any modern marketing campaign. You simply cannot strip your business of vital coverage that will inform your clients about your advantages and merits. Surviving in the waters of the ocean that this industry slowly turns into is impossible without using a solid strategy and becoming a brightly shining beacon for a large audience of potential clients. 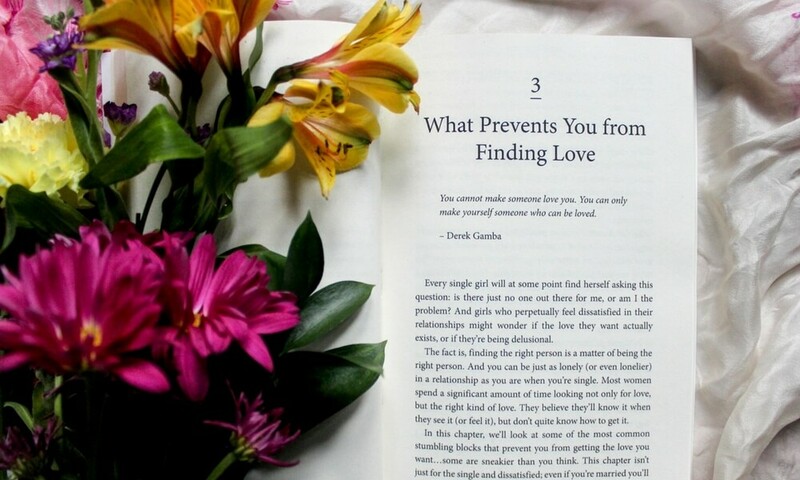 The top photo in this post is by Thought Catalog at Unsplash.